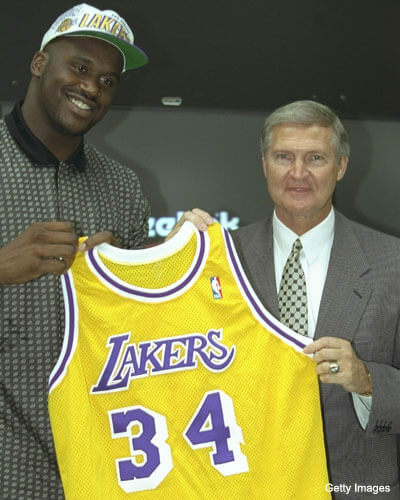 In the 1996 offseason, O’Neal left as a free agent to the Los Angeles Lakers, dealing a huge blow to the Magic franchise. In the middle of the season, urged by player discontent, management fired coach Brian Hill and named Richie Adubato as interim coach for the rest of the season. Under Adubato, the Magic went 21–12 to compile a 45–37 record, led by Penny Hardaway. In the playoffs, the Magic quickly fell 0–2 to the heavily favored Miami Heat in the first round, but Hardaway battled back with consecutive 40 point games to assure a game five (the first player to do so), which the Magic ultimately lost.